We are India's one and only company to have UL LISTED and FM approvals for complete range of pipe hangers and support systems. 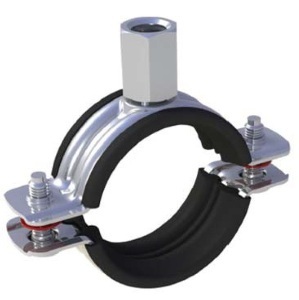 HEAVY DUTY PIPE HANGER is recommended for non-insulated stationary heavy pipe lines in either a horizontal or vertical position. It can be use for supporting pipes along roof as well as along wall. Used where loads to be carried are larger in magnitude. © 2019 Saketh Exim LTD All Rights Reserved.